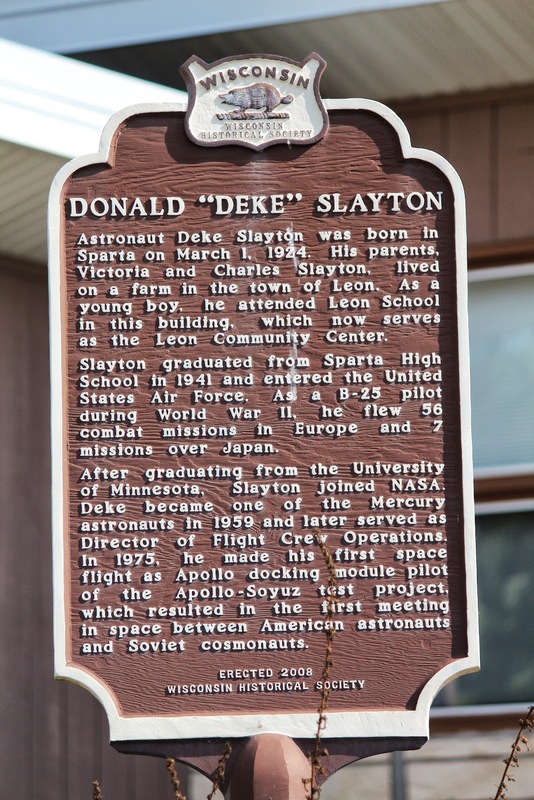 Astronaut Deke Slayton was born in Sparta on March 1, 1924. 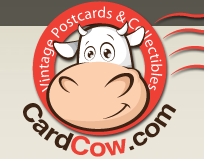 His parents, Victoria and Charles Slayton, lived on a farm in the town of Leon. As a young boy, he attended Leon School in this building, which now serves as the Leon Community Center. Slayton graduated from Sparta High School in 1941 and entered the United States Air Force. As a B-25 pilot during World War II, he flew 56 combat missions in Europe and 7 missions over Japan. After graduating from the University of Minnesota, Slayton joined NASA. Deke became one of the Mercury astronauts in 1959 and later served as Director of Flight Crew Operations. In 1975, he made his first space flight as Apollo docking module pilot of the Apollo-Soyuz test project, which resulted in the first meeting in space between American astronauts and Soviet cosmonauts. 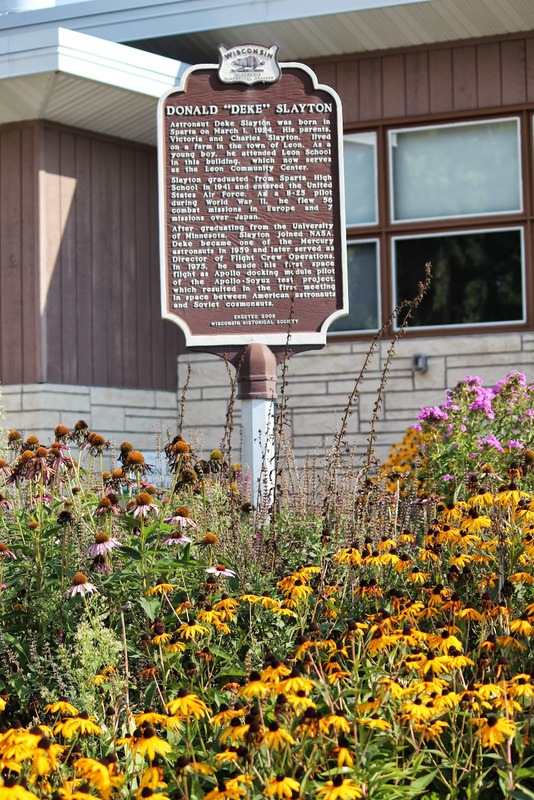 Marker is at the Leon Community Center, 20638 Jameson Road, Sparta, Wisconsin 54656. 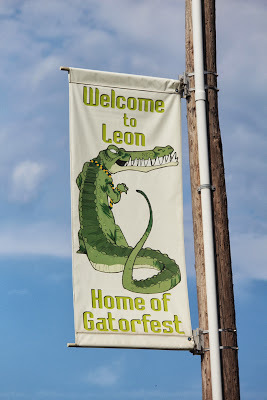 I'm a little confused about which town the marker is in -- Leon or Sparta; there seems to be some overlap on city lines . 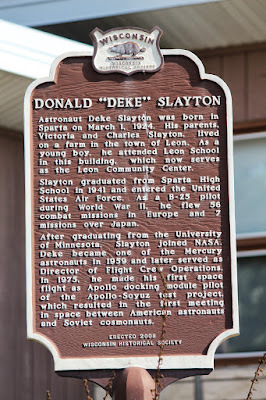 . .
See also, Astronaut Deke Slayton Memorial Highway, at a nearby location. 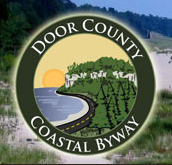 Signage en route to the marker . . . 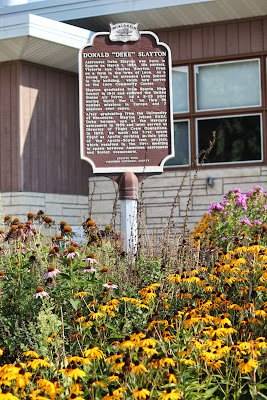 The marker is located in Leon, Wisconsin.